Movie Poster framing. 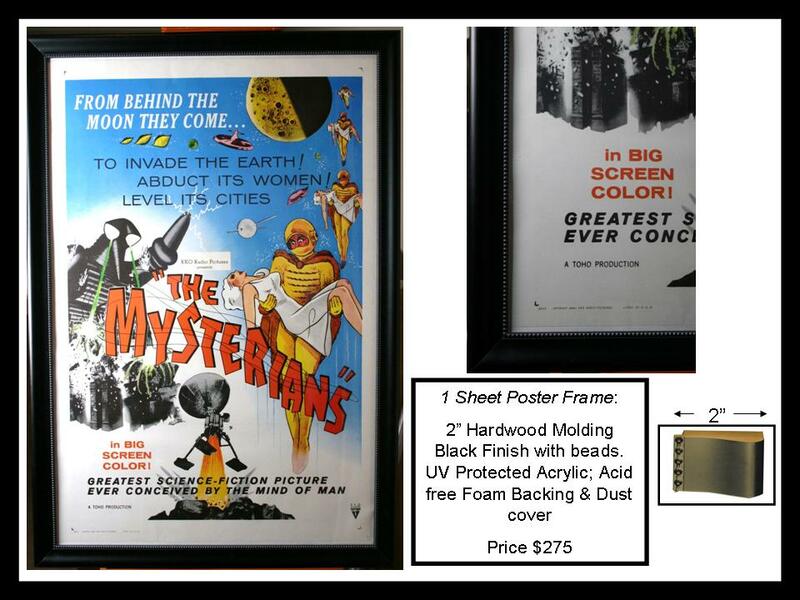 For standard 1 sheet movie posters measuring 27″ x 41″ we offer a huge variety of framing options for the greater Houston area and for pickup only. In this example we use a 2″ solid wood black molding with beading and UV protected Acrylic instead. acid free foam backing board and dust cover. Of course we have other choices of frames available to review at The Limited Edition in Katy.